These lectures were followed by a panel from Catholic Relief Service that discussed their concern regarding international aid and Poverty Focused Development Assistance. We also heard from Kevin Appleby, the policy director for the USCCB’s Migrant and Refugee Services department. He discussed the current immigration situation and the points that the US Bishops would like to see adopted within a Comprehensive immigration Reform package. On Tuesday a number of New York Catholic social service providers, including myself, went down to the Capitol to advocate on these Catholic positions. In Long Island we were able to meet with the Chief of Staff, or minimally the Legislative Directors, for Rep. Peter King (3rd District), Rep. Carolyn McCarthy (4th District), Rep. Steve Israel (2nd District), and Rep. Tim Bishop (1st District). 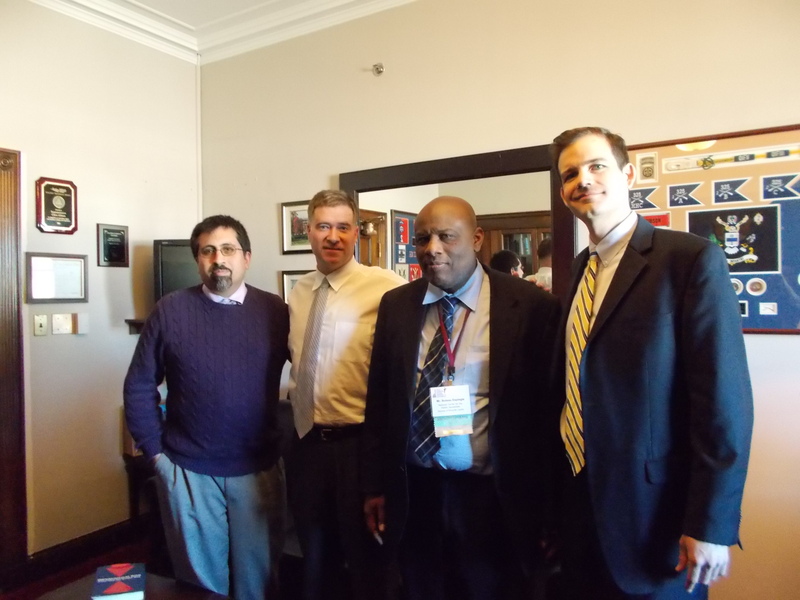 Our Archdiocesan and upstate colleagues met with their legislative representatives as well. These meetings were very productive as we explained our concern for these poverty protecting programs and the relationships that agencies like Catholic Charities had with the people who relied on these programs because of the difficult economic situation they faced. In the afternoon we all met with Senator Gillibrand’s office where we had the opportunity to discuss our concern with her senior advisor. In the afternoon I had a chance to meet with Representative Chris Gibson of the 19th district and his legislative director Matt Sheehey. This district is between Poughkeepsie and Albany (where I once lived.) While all my meetings were positive and productive I was especially encouraged by this legislator. Rep. Gibson recognizes the value of our service agencies having volunteered with agencies like the Peace Corps and Catholic Charities. 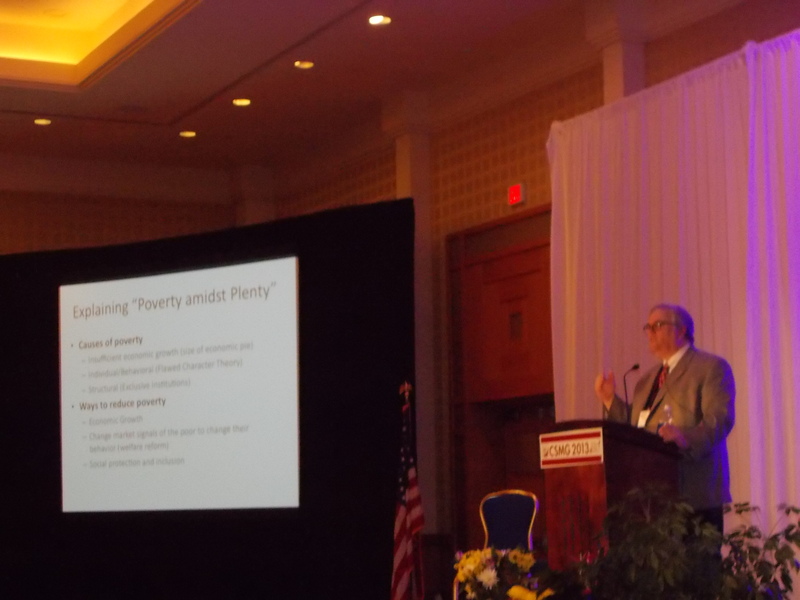 He was very supportive of the domestic poverty programs that we work. He recognized and shared the concern for the immigration community. As a former Peace Corp volunteer he was very supportive of the issues for international aid and the work that Catholic Relief Service does. 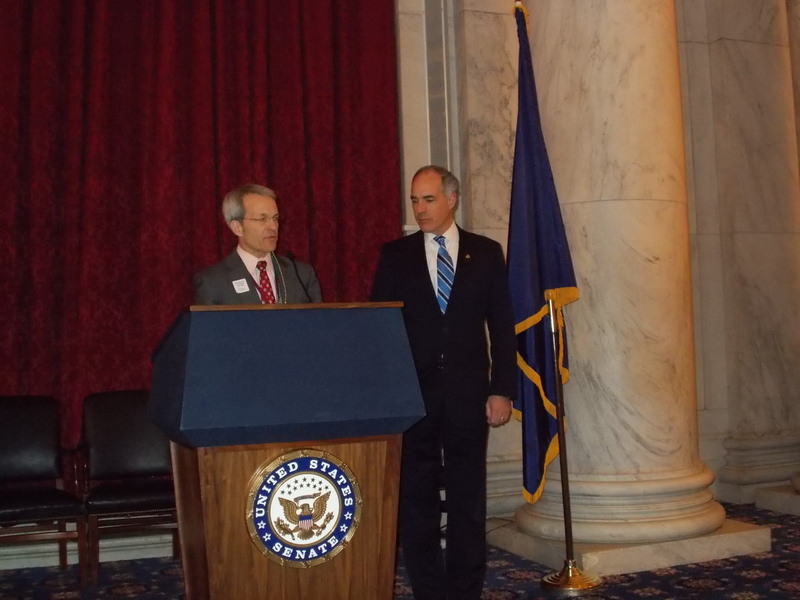 Tuesday night ended with a reception that included a supportive word from Senator Bob Casey. The Senator was introduced by William O’Keefe, Vice President for Government Relations and Advocacy for Catholic Relief Services. Senator Casey, a Catholic and a pro-life Democrat, reminded us of the moral cause from our faith that brings us out to do what we did that day. As he concluded his talk he cited the famous hymn from the Prophet Micah 6:8. 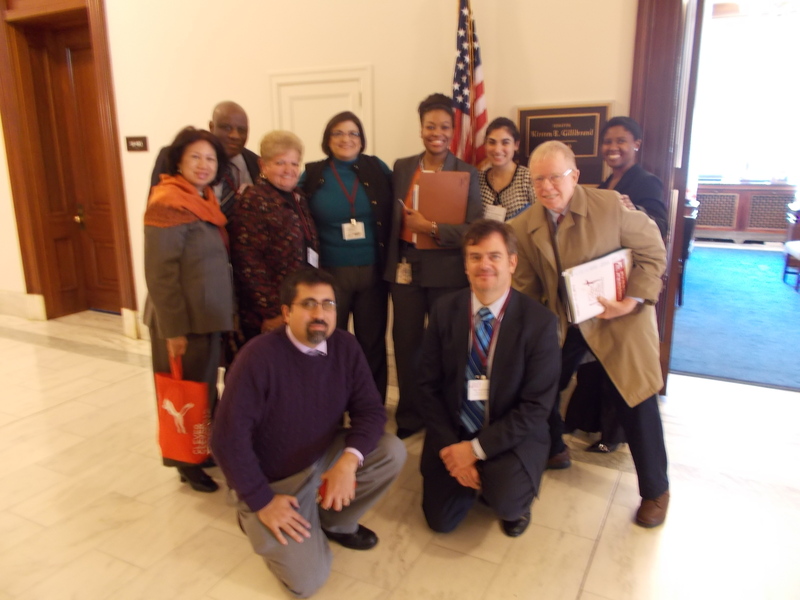 This entry was posted in Economic Justice and tagged advocacy, circle of protection, CSMG 2013, Immigration reform, NY advocacy. Bookmark the permalink.